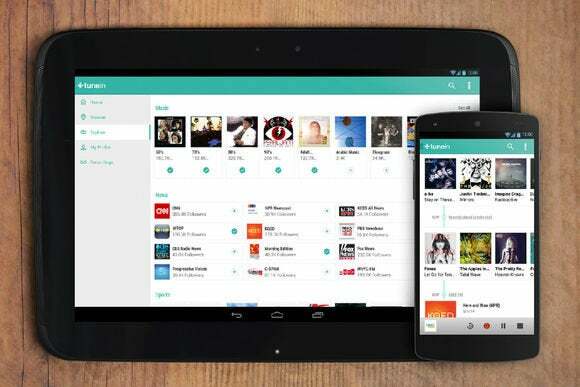 TuneIn believes that terrestrial radio is no longer good enough on its own. Instead, it must be social and personal. The streaming radio service has a new look, putting an emphasis on follows, “echoes” and trending stations. You can still listen to 100,000 radio stations around the world, but now there's a social layer on top of them. Existing TuneIn users will find that their favorites have been transformed into “follows,” and they can now follow individual programs and users in addition to entire stations. Users can also post comments about any station or program by tapping an “echo” button, which looks a lot like Twitter's retweet button. All this activity gets collected on the “home” screen, which includes friend activity, new programs from the stations and shows you follow, and recommendations from TuneIn. The idea is that with enough activity, the home screen will come to life. Be aware, however, that the new social features are switched onto “public” by default. Unless you go to your profile, hit Edit, and tap the Private button, anyone will be able to search for your name and look up all the stations, shows and users that you follow. Update: TuneIn reached out to clarify that while the new social features are enabled for new users, existing listeners will have their profiles set to private by default. The push for social features (or as TuneIn calls it, a “real-time, relevant and social experience”) seems a bit hamfisted, but the redesign looks good, and it should help users discover more stations and shows even if they never interact with any other users. It's available now for iOS, Android, and the Web; there's no word on when TuneIn's Windows 8 and Windows Phone apps will get the update.